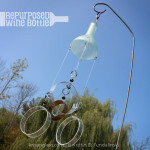 A product I’ve been having fun creating is my wine bottle wind chimes. This was only after going through lots of bottles trying to learn how to cut bottles. 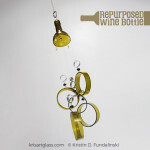 It’s not as easy as I thought it would be to cut round bottles. 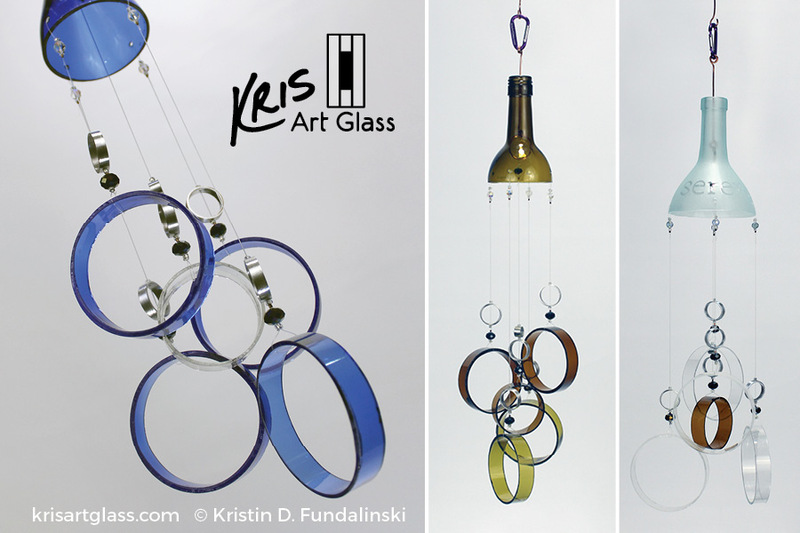 It’s not the traditional way of scoring flat glass, which is sooo much easier. 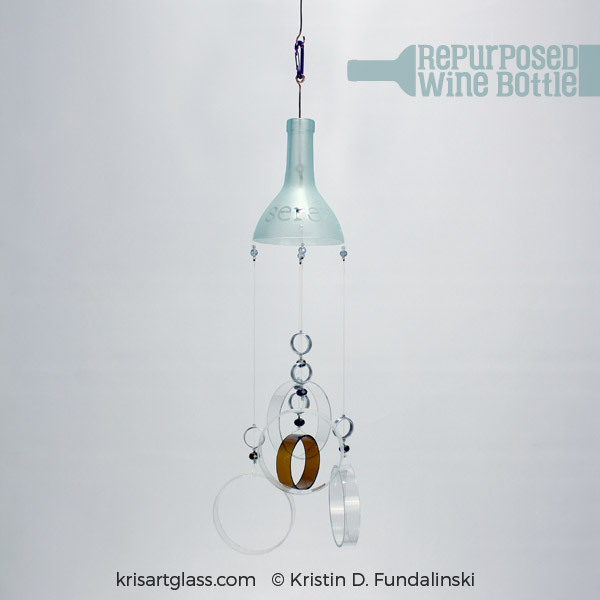 The bottles first have to be scored, by a glass cutter designed to score bottles, and then heated to break the glass. After experimenting with different methods and several bottles later I came up with this design. It uses the top of the bottle, rings cut from the bottles, hand cut and drilled aluminum accent rings/beads, and glass beads for some fun. Without even intending it, its style has a definite Mission Style. 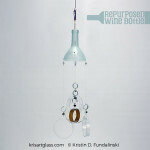 Many customers have commented that it reminds them of Frank Lloyd Wright. I do love Frank Lloyd Wright’s work, so I think it was just a subconscious influence. 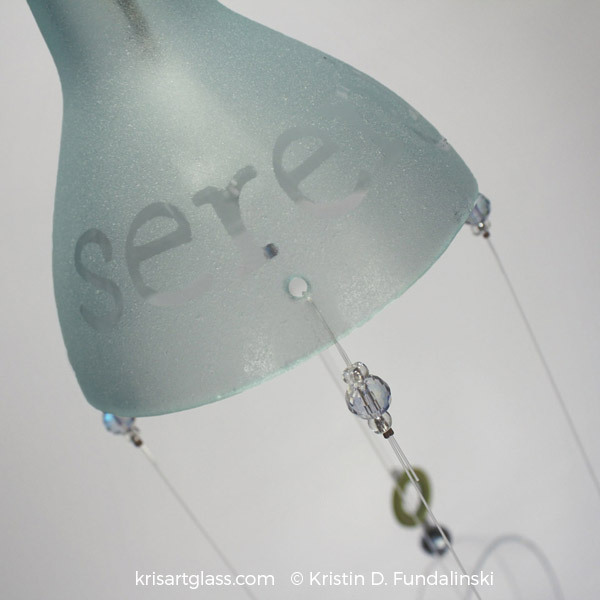 For an added uniqueness, I have sandblasted the clear bottle tops to reveal words, such as “Serenity”, “Love”, and “Enjoy Life”. 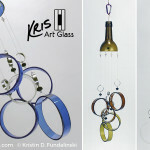 I also have added hand-cut aluminum accent rings, which contributes to its mission style look. 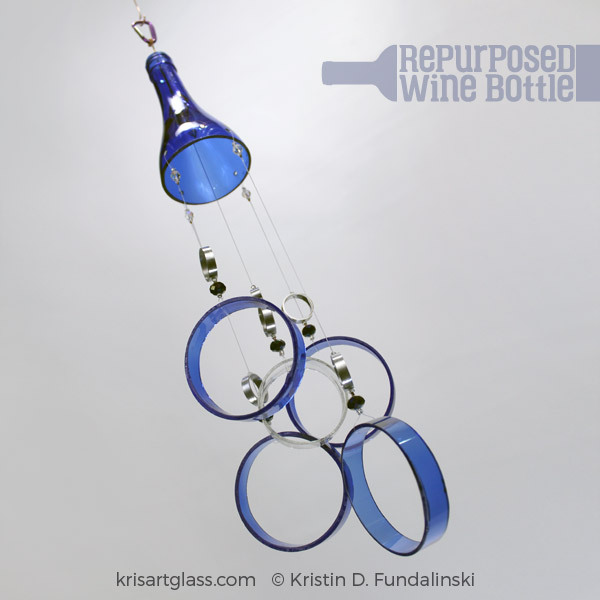 Typically the chimes are cut from 1.5L and 750mL bottles. Depending on the thickness of the glass and size of the bottles it was cut from, they all have a slightly different sound. All of which have a cool kinda soothing sound. The bottles I use have been donated by family, friends, and coworkers. 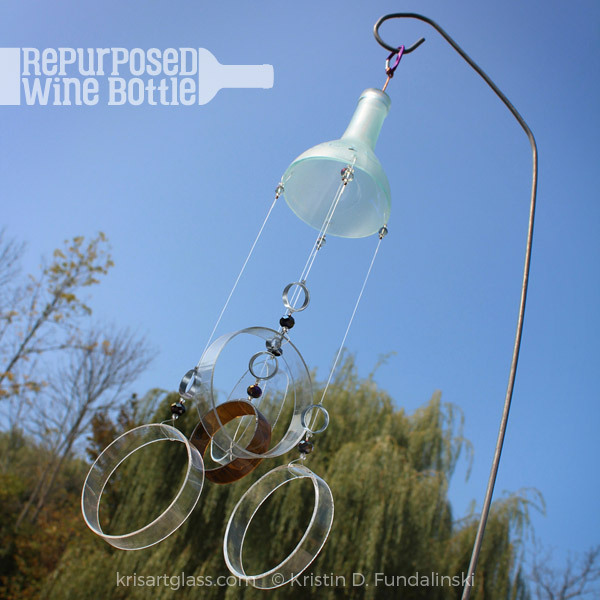 This entry was posted in Products and tagged bottles, repurposed, wind chimes, wine.